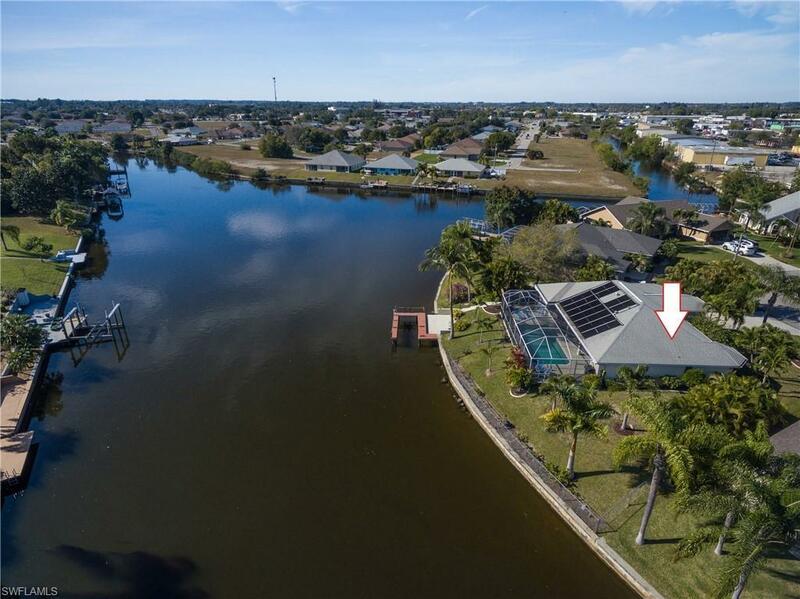 1206 SE 12th Ter, Cape Coral, FL.| MLS# 218084912 | Southwest Florida Residential Real Estate for Sale. Back to the market after the last buyer couldn't sell his house! SW exposure basin view home with Gulf access! This home offers the Florida lifestyle: Large pool and lanai, amazing views, partly fenced, tropical landscape, unforgettable sunsets. Kitchen remodeled with granite counter tops and high end stainless steel appliances. Quality build ins in the living and entry room for your collectibles. From the Master bedroom you walk directly to the pool area. Large Master bath room with tub, shower and his and her sink. The den is large enough to place a bed and dresser or two desks and shelves. Convenient, nice neighborhood. Would be also the perfect seasonal rental. No flood insurance needed, assessments paid!